Tropical Agrosystem India (P) Ltd., is one of the lead players in the Indian crop and pest management industry. 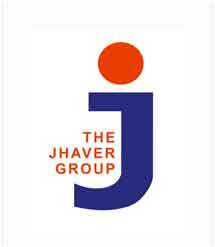 The company belongs to the well-known Jhaver Group- for whom every business vision is a business reality. With its high-tech manufacturing facilities (5 facilities across the country), professional and well- knit marketing organization (over 500 agricultural professionals and more than 8000 channel partners), renowned product portfolio, and several new products in the pipeline, the company is fully poised for ushering in the new age in Seeds, Crop Nutrition protection and Pest management in India. Tropical Agrosystem has several strategic marketing tie-ups with leading multinationals and Indian companies, including toll manufacturing arrangements and supply chain collaborations for supplying technical and bulk grades of pesticides. The company has one of the largest arrays of pesticide product registrations under one roof (more than 200 registrations approved by the Central Insecticides Board of the Govt.of India). It is one of the lead players in crop nutrition and biological pest management in India. Tropical Agrosystem is an innovative, ethical, customer-oriented crop protection and pest management company committed to the highest standards of health, safety and environment, providing quality products and services and maximum value to all our stakeholders. We are a highly dynamic, customer-oriented, crop protection and pest management company offering innovative, quality products and services to all our stakeholders. The 19th century witnessed the emergence of a new generation of Indian Industrialists who were fired by the spirit of the Independence movement. They envisioned India as an Industrial Superpower. R. SrikrishnaJhaver was one such visionary who shared this dream and was aware that the future of India lay in the development of indigenous industry. He initiated this process when he founded the Jhaver Group, which he nurtured into an Industrial Powerhouse. The Jhaver Group of companies was started in 1894 as a trading and distribution company. Over the last 117 years, constant innovation and expansion have seen this group prosper and diversify in the fields of drugs, pharmaceuticals, agro chemicals, zippers, textile chemicals, coated fabrics, pesticide formulations and information technology. The Jhaver Group today is a highly respected business group, and has emerged as one of the fastest growing innovators in South India. Tropical Agrosystem India (P) Ltd., is one of the lead players in the Indian crop protection and pest management industry with an annual turnover in excess of USD 50 Million. With its high tech manufacturing facilities, professional and well- knit marketing organization and renowned product portfolio, the company is fully poised to usher in the new age in the pest management scenario in India. SGI offers a range of ballistic protective vests for various protection levels to meet NIJ standards. SGI is in a position to meet any requirement with regard to ballistic protection, design of the outer cover and size. SGI also offer ECC, NBC, chemical resistant, fire resistant and other protective clothing to suit customer requirements.